RUPES BigFoot Polishing Compound 250 ml Mix & Match 4 Pack gives you a great package deal on any combination of the four RUPES Polishing Compounds in coarse, medium, fine and ultra-fine aggressiveness to meet your specific polishing needs. 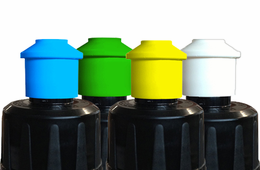 The RUPES BigFoot Polishing Compounds are all high-performance, silicone free compounds created to work with RUPES BigFoot Foam Polishing Pads and the oscillation motion of the RUPES BigFoot Random Orbital Polishers. 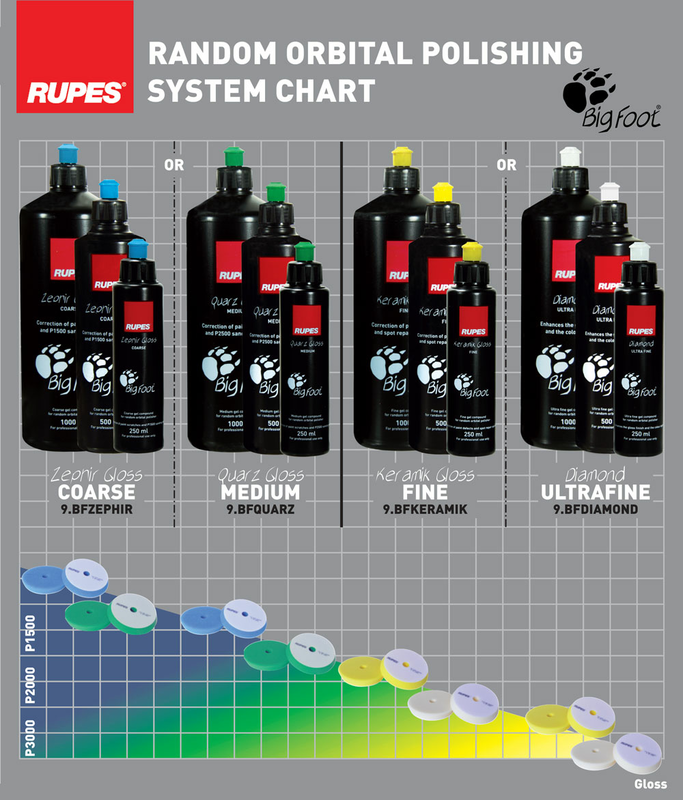 RUPES BigFoot Polishing Compounds are a water soluble formulation made with the perfect combination of viscosity and aggressiveness for even distribution on the RUPES BigFoot Foam Polishing Pads allowing for less compound consumption and downward pressure for optimum overall results.